My favorite banana bread in the world is my mother's. I just told James the other day that if someone were to ask him what MY favorite dough is, he should say it's a tie between my mom's banana bread and Tollhouse chocolate chip cookie dough. Can't even believe I'm saying that but its SO totally true. Anyways, that craving knocked me over the head while I was home in Charlotte but, you know me... I can't just follow a recipe. So here's the revised pumpkin version of her banana bread. 2 bananas, smashed and preferably rotten.. at least partially. Preheat your oven to 325 degrees and grease a loaf pan. 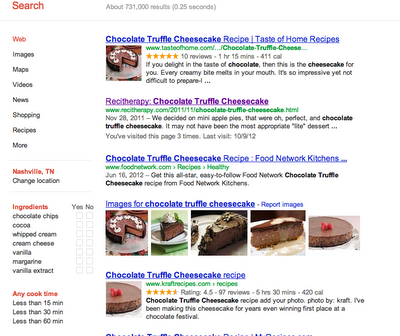 In other random news... when you google search "chocolate truffle cheesecake," look who comes up SECOND! Right behind Taste of Home and just AHEAD of Food Network! Guys! How fun!!! OH. MY. GOSH. I would LOVE that. 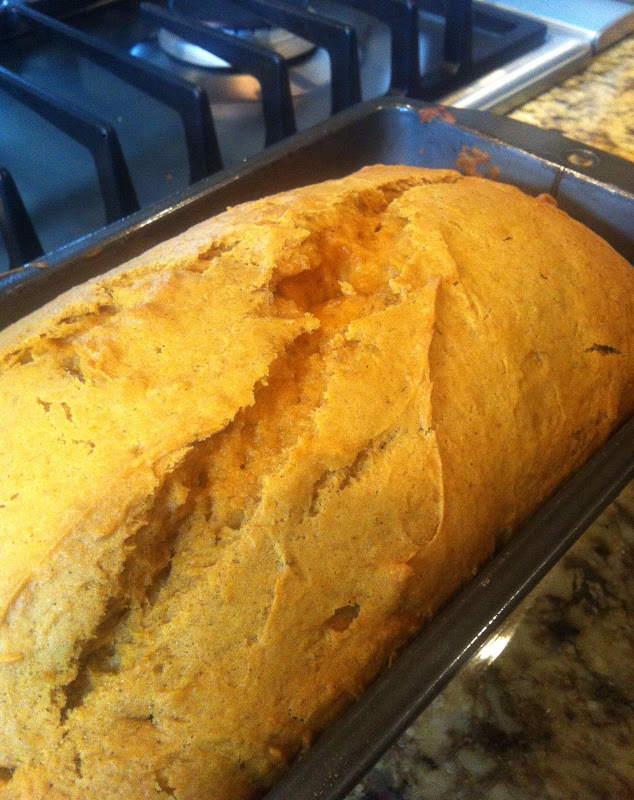 Mom's banana bread is the best, but you MIGHT have just topped it in my book with the word "pumpkin". MMMMM!!! I'm gonna have to try it tonight!!! Hey, that is SOOOO AWESOME about google search!!!!!!!!!! WAY TO GO, BABE!!!!! 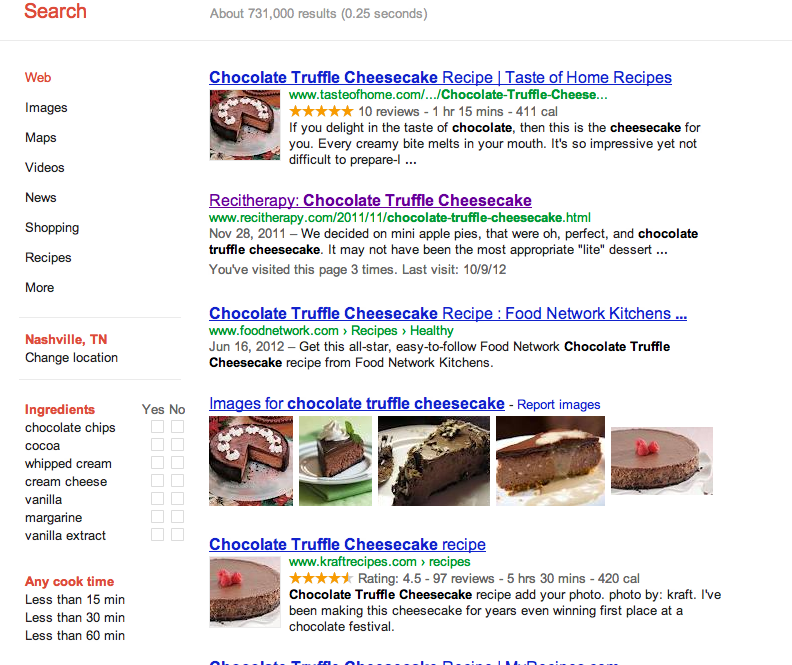 Pretty soon, "Recitherapy" is going to be synonymous with food blogging. I just know it. You're the best! :D YOU'RE the best!! :D thank you for your encouragement. :) we'll get there! also yes. the bread is totally to die for. I'm making some tomorrow too! Yummmmm!!! Cannot wait to recreate!! !